The Song With The Most U.S. Radio Play Time In The 2000s Was Performed By? In The Original Bram Stoker's Tale, Dracula Isn't Harmed By? In searching through your recollection of 2000s-era music, it would be wise to pick a popular song written early in the decade if you were searching for the most played radio song. Perhaps 2002’s “Lose Yourself”, an enormously popular Eminem song that spent 12 weeks at the top of the Billboard Hot 100 singles chart and enjoyed consistent popularity thereafter. No? What about “Hey Ya!” by Outkast? After a late 2003 nine week run on the charts, it was nearly impossible to turn a pop station on without hearing it. What about Alicia Keys? Collectively, her songs spent 22 weeks at the top of the charts during the 2000s. While all solid guesses, none of the aforementioned artists can lay claim to the single most played pop song of the decade. 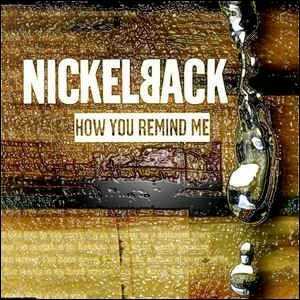 For that, we must turn to 2001’s “How You Remind Me” single from Nickelback’s Silver Side Up album. Between its release in the late summer of 2001 and the end of the decade, the song was spun up a staggering 1.2 million times in the U.S. market, making it the most played single of the decade.